California's sizeable achievement gaps in English-language arts and mathematics in second and third grades have early roots, with the same groups of children that lag in academic performance in elementary school trailing in measures of school readiness when they enter kindergarten. Participation in effective preschool programs has the potential to narrow these gaps, but the state's current system of publicly funded early care and education programs are not designed to maximize the child development and school readiness benefits. New data collected for the project on preschool use and quality shows most California children attend center-based preschools, but quality of programs falls short of key features that are important for promoting school readiness and later academic success. Moreover, the groups of children with the largest school readiness and achievement gaps are the least likely to attend high-quality early learning programs. In light of these shortfalls in preschool adequacy and efficiency, California policymakers can take steps in both the shorter and longer runs to advance preschool access and quality and provide a more efficient and coordinated system with appropriate infrastructure supports. Chairman of the U.S. Federal Reserve System Ben S. Bernanke cited RAND studies that have documented the importance of investing early in children's learning. He made the case that early education programs, especially those serving disadvantaged children, are one of the best investments that society can make in its future. The California Preschool Study examined gaps in school readiness and achievement in the early grades among California children and the potential for high-quality preschool to close those gaps, the use of early care and education (ECE) services and their quality, and the system of publicly funded ECE programs for three- and four-year-olds. This analysis integrates the results from the prior studies and makes recommendations for preschool policy. This third report from a study to assess the adequacy and efficiency of preschool education in California examines the use and quality of early care and education programs. Use of center-based programs is the norm in California, but these programs fall short on key quality benchmarks. There is room for improvement in quality for all children and for raising participation rates for groups of children with the largest gaps in school readiness. RAND has undertaken a study to assess the adequacy and efficiency of preschool education in California. This volume provides a comprehensive assessment of publicly subsidized early care and education programs available to preschool-age children — for California as a whole, and for four case-study counties: Los Angles, Merced, San Diego, and San Mateo. RAND has undertaken a study to assess the adequacy and efficiency of preschool education in California. This volume describes which groups of students are falling short of proficiency in the early elementary grades and evaluates the potential for well-designed preschool programs to close those achievement gaps. Estimates of the potential benefits from a high-quality, one-year, universal preschool program in the 13 largest counties in California and five groups of counties. The analysis focuses on nine outcomes specific to educational processes and attainment, child maltreatment, and juvenile crime. The effect of a universal preschool program for each annual cohort of 4-year-olds served by such a program is estimated for each outcome and geographic unit. Where possible, the baseline level of outcomes in the absence of a universal preschool program is also estimated, enabling measurement of absolute changes. What are the achievement shortfalls and cross-group gaps for California's children in terms of the state's kindergarten through third grade (K–3) education standards and what is the potential for high-quality preschool programs to raise achievement? How adequate is the quality of preschool education California children are receiving, and what proportion of families have access to high-quality preschool that would be expected to produce the cognitive, social, and emotional benefits necessary to help children achieve the state's early elementary standards? 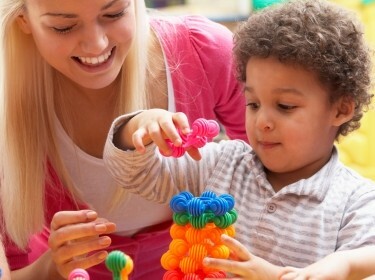 What efficiencies can be obtained in the current system of funding for early care and education (ECE) programs serving children one or two years before kindergarten entry in order to improve K–3 education outcomes? What additional ECE policies or resources would be required to ensure that all children in California are prepared to meet K–3 standards? A multi-disciplinary RAND research team will address these questions through three inter-related studies that will collect new data and conduct original analysis to fill important gaps in our knowledge base regarding (1) achievement gaps among California children in the early grades; (2) the system of public funding in California for ECE programs in the two years prior to kindergarten entry; and (3) the utilization of ECE services among California's children and the quality of those experiences. A fourth synthesis study will integrate the results from the three focused studies, as well as relevant prior research, in order to answer the overarching research questions above. The project, also known as the California Preschool Study, was requested by the Governor's Committee on Education Excellence, the California State Superintendent of Public Instruction, the Speaker of the California State Assembly, and the President pro Tempore of the California State Senate. The project is guided by an Advisory Group of academic researchers, policy experts, and practitioners.